20th anniversaries only come along, well…once. 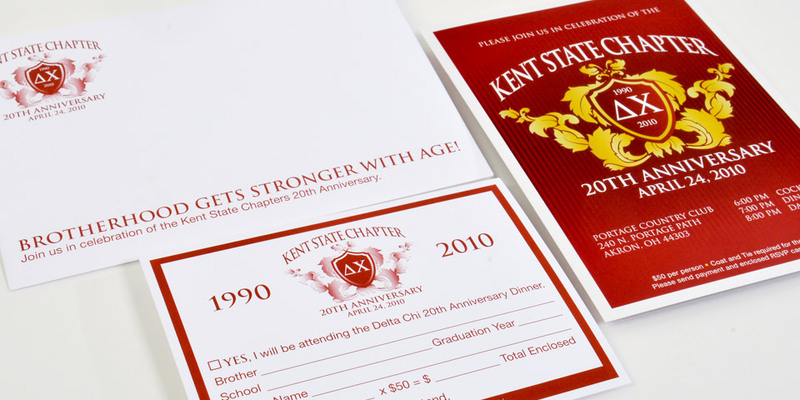 For Delta Chi, this represented a chance to celebrate, connect and raise funds from wide roster of distinguished and accomplished alumni. We developed an invitation that maximized attendance. Event marketing is a critical endeavor for many companies. If you need a partner you can trust, contact Boom Creative. We can design invitations, mailers, event materials, signage and more. We can even assist in theme creation, multi-media support and post-event communications.